Here's another my personal creation. 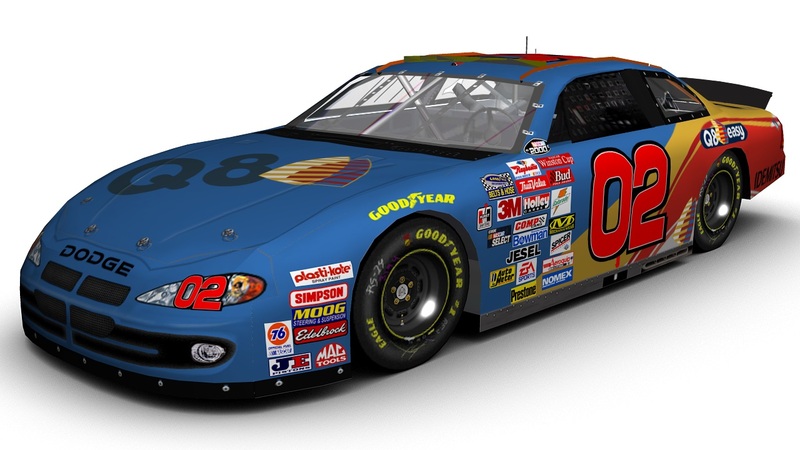 This time, I realized a fictional Q8 Oil's paint scheme, on a 2000 Dodge Intrepid's template, for the cup2000's Mod, that is actually my favourite mod. The car hasn't got name, but has got RATINGS. Hope that all of You like It. Credits: Om3gA for mod, template and contingencies, JCORacing Designs for numbers, The Mod Squad for render, Google for logos and decals. Enjoy!